Disco, disco, yeah yeah yeah! Get your funky 70s groove on with these tracks. Not only do they appeal to the boomer generation, they’ll reach out to younger audiences as well since the “return of Disco” in the late 90s. 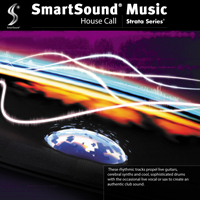 Check out just a few of the tracks available in the SmartSound Royalty-Free Music library! You can’t talk about disco tracks without bringing up the track, Disco, off the Good Times album! Painfully retro with all the disco cliches, this track is lively and perfect for retro products, nostalgia pieces, and college reunions. Disco can be a lot like comfort food - so use it to full effect. Here’s a perfect track for On Hold music: Studio 54 from the album Classic Rock. It’s not retro, it’s “vintage”! It’s lively and full of synthesizers. It would also be a great fit for training videos that need a positive tone that isn’t abrasive. High-Fashion Workout off the Scoring Essentials album is a spirited fusion of 90s Euro-Disco and Rave. Energetic synthesizer work makes this a punchy piece that is well-suited to aerobic sports and contemporary fashion, as well as training video cutaways. Buck the Trend (off the album House Call) is trance-dance electronica at its finest. Slick and slammin’, this is an ideal track for commercials and night-life scenes alike. Also works very well in video games, as you’ll see with one listen. Best of all, it comes with 4 Variations and 10 Instrument Mixes so videographers can tailor it for a variety of subtle scene shifts. Feel the funk! On the Podium is a track that adds both percussion and a brass section to the usual disco electronica. Available on the album Power Play, this is a happy and confident retro piece that cries out to be used in product videos, training vids, and all sorts of corporate communications. 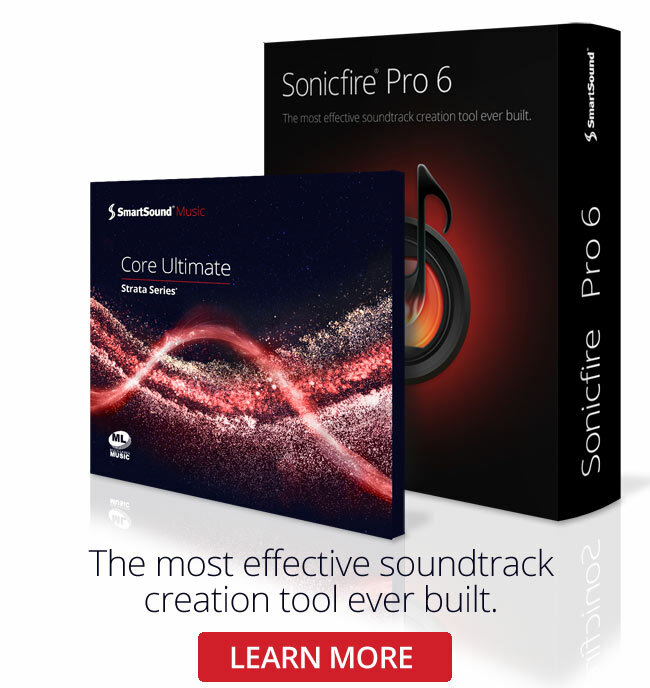 Go a step further with SmartSound’s SonicFire Pro app to nail any scene using the Mood Mapping feature. Get the nuance and variation you need to effectively edit in the right background score to connect emotionally with the audience, whether for internal training or for product videos and commercials.